College Students: Should You Apply for a Personal Loan? Students need to consider a wide variety of financing resources when building their college fund. Personal savings, gift aid in the form of scholarships and grants, and Federal student loans should all be a part of every student’s college plan. However, even these resources can leave students with a sizable amount of unmet need. Personal Student Loans offer an answer, and can help supply the necessary funds to fully complete a workable college fund. Personal loans can help students meet their outstanding tuition costs, as well as provide funds for various additional expenses such as room and board, computers, books and related college necessities. Before considering any personal or private student loans, it is important to first exhaust all other forms of financial aid. This can not be stressed enough. Many a student has been undone by taking on more debt than they can handle, and it is vital to restrict borrowing, particularly private sector borrowing, to an absolute minimum. Before pursuing any personal private loans, students should fill out and submit the Free Application for Federal Student Aid . With the FAFSA completed, students can apply for Federal and state loans, grants and scholarships to help meet their tuition costs. This should be a priority for all college-bound students. Only when all other resources have been exhausted should students consider a personal loan or private lender. Personal student loans, like private or alternative loans, are offered by banks, credit unions and independent lending institutions. Where private student loans are predominantly meant for tuition fees, personal student loans are designed to help provide the necessary funds for ancillary costs such as housing, books, computers, travel and other living expenses. These loans should be approached with some trepidation. Personal student loans have an important place in college funding, but students should be wary of taking on excessive amounts of debt. 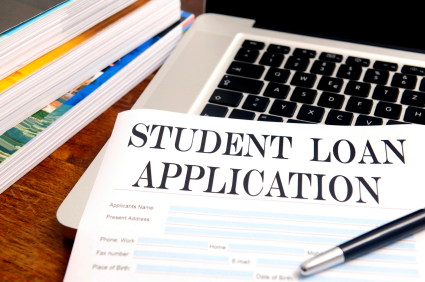 Student Applicants must have a solid credit history to be sole borrower. Students with little, or no, credit history must have a cosigner. Student, and cosigner, must sign a legally binding promissory note guaranteeing repayment of the loan principle, and all accruing interest. Students most show proof of adequate income, as per the individual lender’s requirements. Personal student loans typically have high, variable interest rates. The accompanying interest rate is one of the most important features to be considered when applying for any personal loan. It will determined how much money the borrower will be required to repay, over and above the loan principle. Students with low credit scores are typically subject to higher interest rates, and it is advisable that most students consider a cosigner to help secure the most attractive lending rates possible for their loan. Students considering a personal loan should take note that interest begins accruing on the principle as soon as the loan is approved and disbursed, and will continue to accrue over the life of the loan. If students take advantage of any proffered loan deferment plans, accruing interest will be added to the loan principle. As the principle grows, so will the interest and the cost of the loan will increase exponentially. Private lenders each set their own repayment plans according to in-house policy, and no two lenders will have precisely the same requirements. Typically, repayment plans are determined by the underwriter’s company policy, the borrower’s credit history and the amount and purpose of the loan. Deferred payment options – This is a feature offered to students by a number of lending institutions, and it allows students to postpone repayment until after graduation. Students should keep in mind that interest continues to accrue during any deferral period, and will result in a sizable increase in the total cost of the loan. Discounts for automatic withdrawal – Many banks and credit unions will offer a reduction in loan fees for borrowers who choose automatic withdrawal as a repayment plan. Cosigner advantages – Students who secure a loan with a cosigner can often receive more attractive interest rates, and more flexible repayment plans. Penalties for early repayment – Many private lenders charge penalty fees for early repayment of outstanding loans. Private lenders earn profit over the life of any loan, and often make up for losses by attaching penalties for early repayment. Students considering personal or private loans must consider the repayment plan carefully before committing to any loan agreement. Borrow only what you need, and what you can reasonably afford to repay over time. Remember, defaulting on a student loan is never an option. Personal student loans are available from most private lending institutions, such as banks, credit unions and savings and loans. 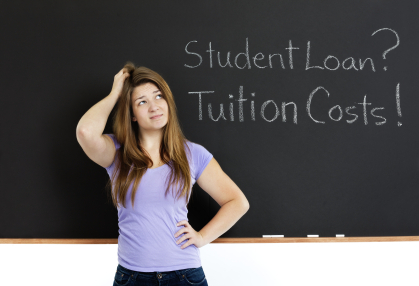 Like any private student loan, lending availability, limits and conditions will vary depending on the choice of lender. Students with a limited credit history, who have found it difficult to secure a loan through a bank or credit union, may consider peer to peer lender services. P2P lenders offer personalized loans, though they are fairly new to the student loan arena. Students considering P2P lenders should know that they are not bound by the same Federal regulations as banks, credit unions and savings and loans. While they are an option for college-bound students looking for financing, it is wise to proceed with caution where peer to peer lending is concerned. Does the lender allow you to defer payments while in school? What are the minimum and maximum loan allowances? Does the lender offer discount incentives for payments utilizing automatic withdrawal? Can the loan be consolidated following graduation? If using a cosigner, does the lender offer an option for cosigner release following an approved period of timely payments? Personal student loans offer access to much needed funds when all other financial aid falls short of meeting a student’s total college costs. But all private loans should be approached with caution, and only considered as a last resort for college funding. The following steps will help students decide when a personal private loan is the answer to their college funding questions. First and foremost, apply for any grants and/or scholarships for which you may be eligible. Apply for any and all available Federal and state loans before considering a private lender. Using a college cost calculator, add up the total cost of college including tuition, room and board, and all other related expenses. Subtract the sum total of any Federal or state loans you have received, as well as any scholarships, grants and personal savings which comprise your college fund. The resulting amount will be your total unmet need. The total left after applying all of your college fund to the total cost of attendance should be the amount you consider borrowing from a private lender in personal loans. Remember, do not borrow more than is absolutely necessary to meet your education needs. Before agreeing to any private loan, compare lenders to find the best rates and most flexible repayment plans. Do not sign any loan agreement until you are confident that you understand all of the loan’s terms and conditions, and that you are certain you can meet your obligations as the borrower. When used appropriately, personal loans can help students fill any gaps left in their college fund. However, personal loans of any kind should be approached with caution, and only considered as a last resort. Remember that every student loan must be repaid with interest, and default is not an option. Choose your lender wisely, and only accept a loan when you are confident that you can meet your obligations as a student borrower.